But Another famous Osaka dish, which originated in China, is 豚まん Butaman, or Pork Bun. 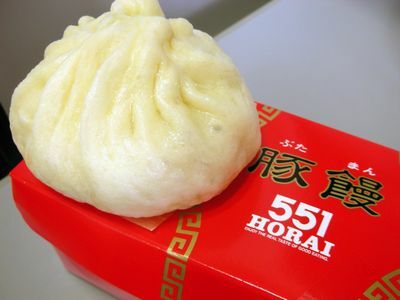 And if you ask any Osaka people who sells the more popular Pork buns, they will tell you "551蓬莱", or "551Horai." You can find one of their many shops throughout Osaka but not in Tokyo area. Please, I'm not being paid to say this, but they are delicious. For the sake of the universe! i shall claim this first comment! On a side note while i still wait for the video to be properly published..
Butaman is one of those dishes that I really wish I could find someplace local to try it out. Errr... Sorry, but it´s "551" and not "511", like it´s in the picture or in the url. I've eaten most of those, and i agree. 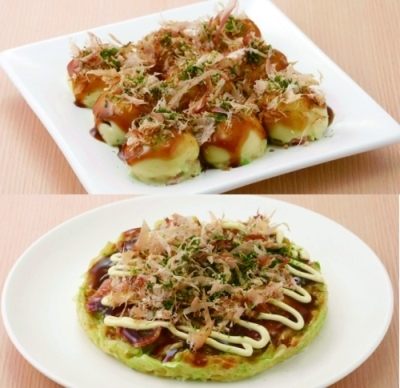 I could eat them everyday, specially okonomiyaki. But i dont like the dried fish they usually place on top of it. Also, i've heard the bun being called "nikuman" a lot. But i really like the version with sweet bean paste inside. H - Yes, the katsuobushi (bonito flakes) can be an acquired taste indeed. John Smith - Thanks, it's been fixed! It's great to see you sub all this treats for us Shibata. I really appreciate it. Thank you. Tanaka and Yamazaki's reactions to Endo slapping Hamada are hilarious! I love how they're sort of running around in shock in the background. haha this is really funny thankyou! But can you please post a download link? I hate watching on steaming sites like daily motion. oh my gosh, you have no idea how much this made me laugh XD pure gold. thank you, shibatabread!